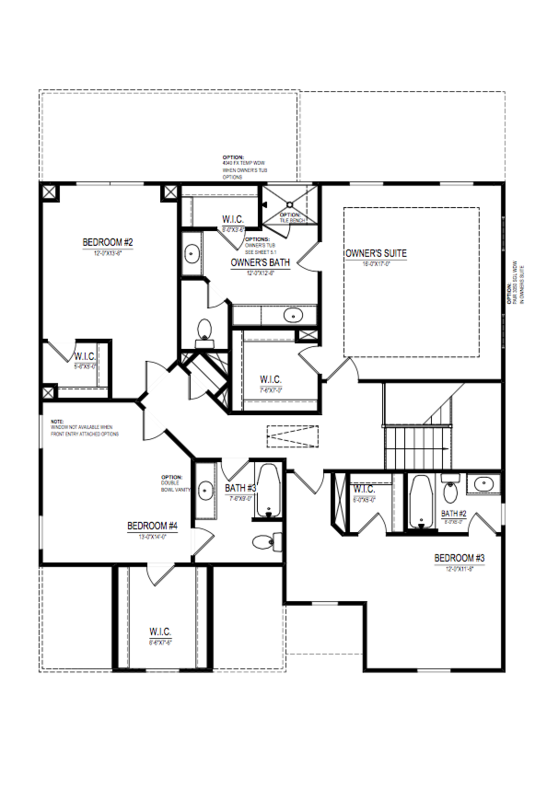 Enjoy plan flexibility to make this home fit the way you and your family lives. 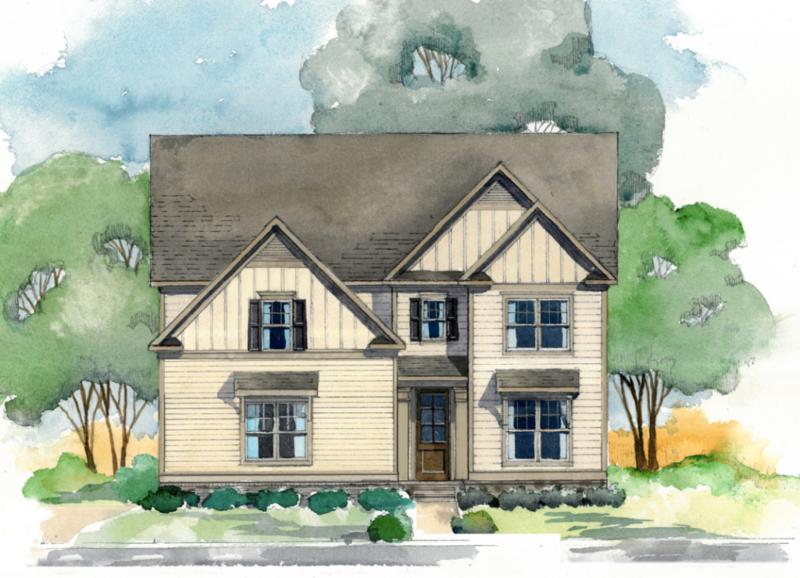 Enjoy additional living space on the included covered back porch with an optional fireplace. Show your furry friend some love with their very own space by adding a dog room option. 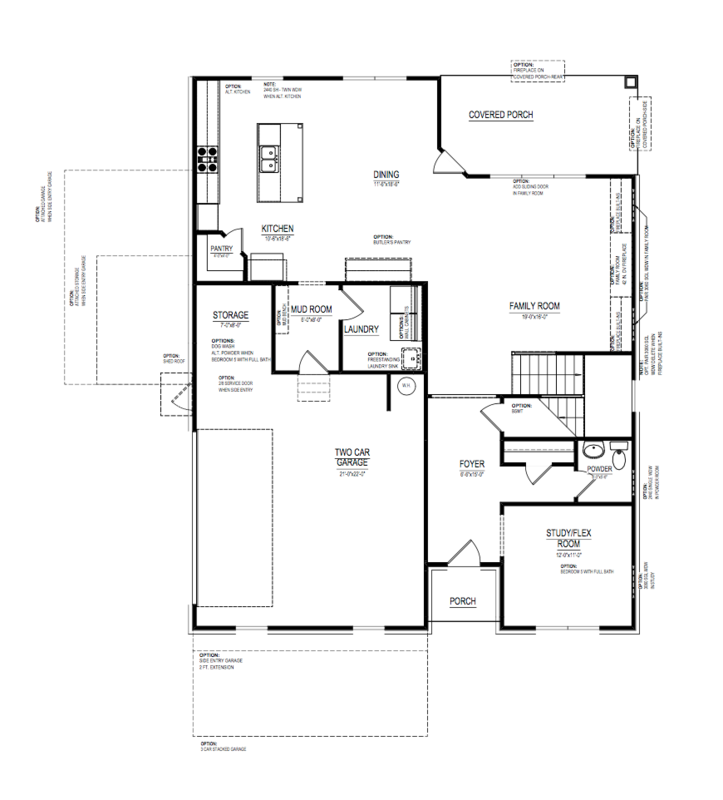 Check out the alternate kitchen layout with the sink located at the window and offers extra cabinets. Need more bedrooms? Convert the flex/study room to a fifth bedroom for a first floor guest room. The garage includes an area for a workshop or storage space for toys and tools.